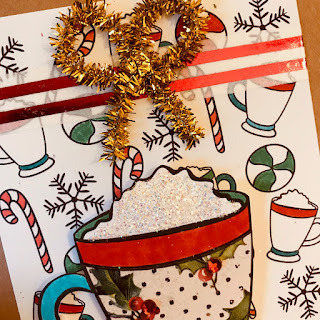 I just had to make a card with this Freebie set from Polka Dot Orchard . It is being offered free HERE for the Hop and as soon as I saw it I thought - Peppermint Mocha !! Jessica Pickeral Burnham is the owner and she's also a Super Sponsor for the Coffee Lovers Blog Hop . Check out her blog post and see the rest of her digi stamp sets !! I started with a Kraft card base . I always love Kraft, but at Christmas time especially, I think it give a great vintage feel to a card . The background image and coffee cup digis were printed on Neenah Stardust White cardstock . I fussy-cut the cup and trimmed the background to fit the base . I also printed the cup on a Holly-patterned paper from The Paper Studio. It was then cut out and adhered to the cup. The images were colored with my favorite variety of markers - Brea Reese Markers, Sharpies and Faber-Castell PITT Artist pens. I placed a strip of Little B Red-foil Striped washi across the upper part of the background digi. 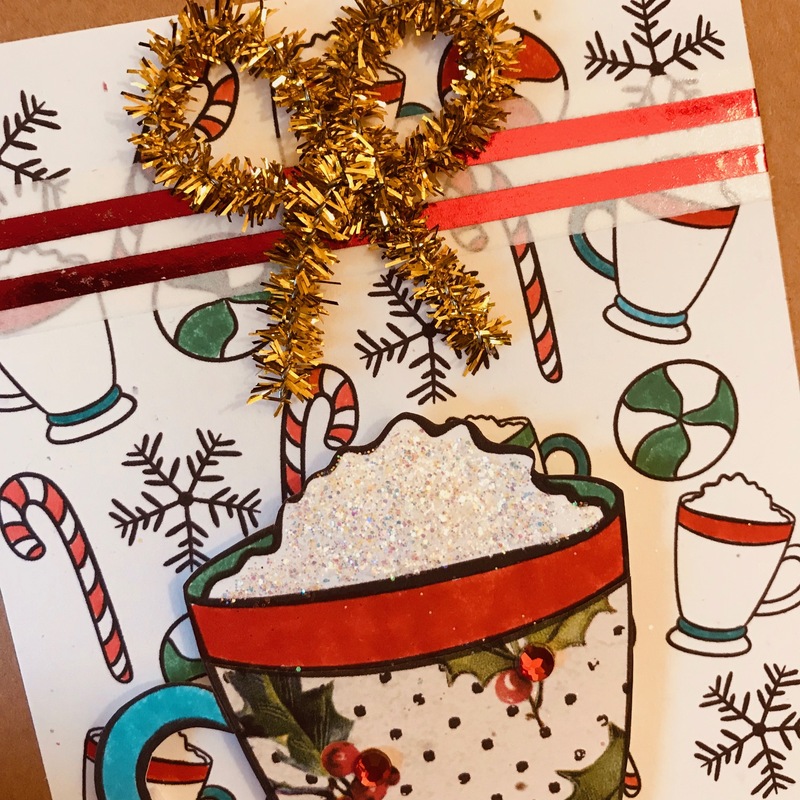 A gold tinsel bow by American Crafts added more shine to the middle of the washi strip. I adhered the background to the Kraft with my Pink Scotch ATG Runner and popped up the Coffee Cup with Tombow Foam Tabs. A few red rhinestones were added to the holly paper on the cup and Fine White glitter was used on the whipped cream. 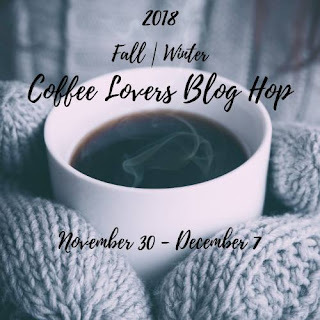 There are already over 350 projects linked up at the 2018 Fall/Winter Coffee Lovers Blog Hop and it is only Day 3 !! Be sure to go there and check out all of the inspiration and think about linking up a Fall/Winter themed Coffee, Tea or Cocoa project of your own !! Thank you again for visiting Meticulosity. Please comment for a chance to win some Blog Candy from me -- I will choose 1 person at random at the end of the Hop from those who comment. I participated in the 2018..